The FAA estimates that over 30,000 unmanned aerial vehicles could be flying within the next ten years. With increased traffic in the skies, it is important that UAV/UAS operators remain vigilant and safe. Wedding videographers and real estate agents are just two fields where drone use has become quite prevalent and where incidents have occurred. Line patrol, surveillance, agriculture and conservation add to the list of trades enhancing their businesses with UAV/UAS use. Without safety measures in place, a company’s future can be severely jeopardized if a suit were to be filed against them. Luckily, a smart phone app developed by the Federal Aviation Administration (FAA) is now available to assist in safely operating your UAV or UAS. B4UFLY is a simple application to help point the user to any restrictions within their area. B4UFLY contains a flight status indicator that pulls publicly available information from the FAA and alerts the user the status of the current location. For example, at the time of writing this blog in our headquarters in Frederick, MD the status alert was yellow: Use Caution and Check Restrictions. If you click the “other guidance button” the app alerts you to: Restricted airspace, airports within 5 miles, upcoming restrictions and any national parks that may be nearby. All this can be found by using the first tab, labeled “status”. Other indication colors are green and red to help determine your go/no-go deicison. Three more tabs complete the B4UFLY app. The map tab shows airspace, much like a sectional chart and contains icons for airports and heliports in the area. There is also a flight planner tab where the user can enter a future location and/or date to receive information on an upcoming UAV launch. Finally, the “more” tab provides helpful links as well as lists of US airports, national parks and current Temporary Flight Restrictions (TFRs). B4UFLY is currently available for iPhone devises and a Beta version went into testing for Android users on January 6th. Android users are encouraged to opt-in to participate in the beta test through the first quarter of 2016. Aviation Insurance Resources (AIR) entered the UAV/UAS insurance market early, immediately ready to serve the needs of drone operators. UAV and UAS owners have been depending on AIR for superior customer service, insurance and aviation knowledge. With liability insurance from AIR and the help of the FAA’s B4UFLY smart phone application, UAV operators can invest in a safer future! B4UFLY can be downloaded through the iOS app store and the beta version for Android users is available in Google Play. For more information on B4UFLY visit the FAA webpage on the application at: https://www.faa.gov/uas/b4ufly/. To learn more about unmanned aircraft insurance through AIR, please call us at 301-682-6200 or download our UAV and UAS application today! You can also follow us on Facebook, Twitter, LinkedIn, and Google+. While a majority of aircraft accidents are result of pilot error, occasionally a product defect is deemed the probable cause behind an aircraft accident or incident. Aircraft are intricate machines made up of thousands of parts, both stationary and moving. 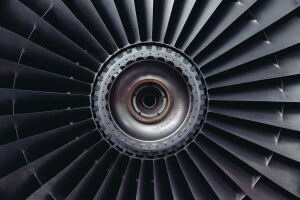 Besides large components such as the engine or landing gear, many small parts such as switches, valves, caps and even bolts can play a role in aircraft safety. If you supply or manufacture a component used in an aircraft, you may be held legally liable in the event of a claim. An aviation manufacturer product liability policy can protect your business’s financial interests. Who may need product liability coverage? Aircraft manufacturers, STC modification builders, avionics, instrument and interior manufactures are all at risk for product liability. If your company distributes or builds aircraft propellers, sheet metal, brakes, tires, lights, etc., it is important to look into product liability. Any business that is responsible for a component that ends up in an aircraft could be held liable in the event of a lawsuit. An aviation manufacturer product liability policy will provide a defense in the case of property damage, bodily injury or the grounding of a fleet due to a product hazard. The aviation insurance specialists at Aviation Insurance Resources (AIR) are dedicated to protecting your business and its future. AIR will guide you through the insurance process to provide you with peace of mind as your company serves the aviation industry. To learn more about aviation manufacturer product liability policies through Aviation Insurance Resources call 877-247-7767 or visit us online at www.AIR-PROS.com today!